Several areas of Liverpool’s city are in need of extensive redevelopment. 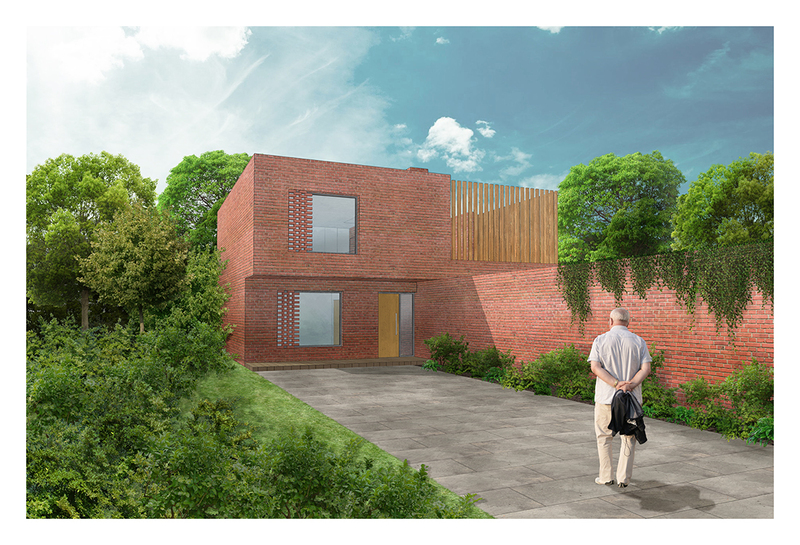 A gradual move towards smaller, and more cost effective homes has left many of Liverpool’s grand Georgians villas as ill placed landmarks in areas of mixed development. 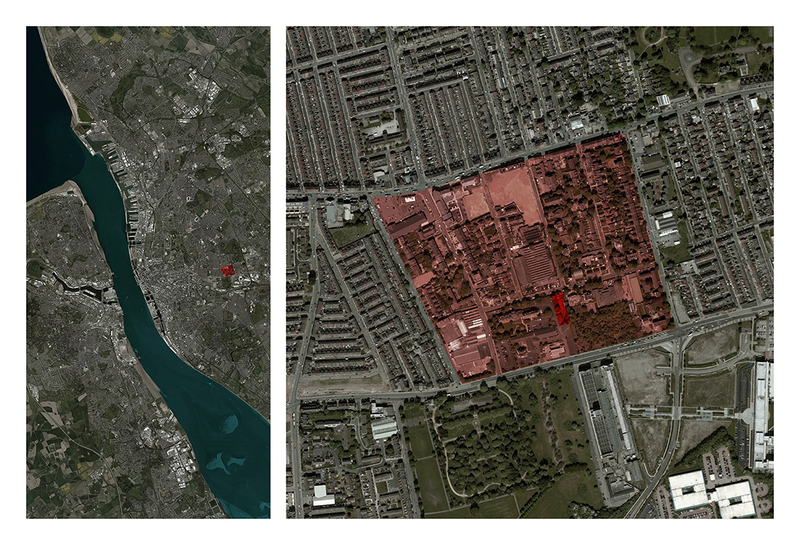 The flight of Liverpool’s elite classes has historically meant that vast swathes of land were available for cheap development, by the mid 1900s this meant the encroachment of inner city factories. 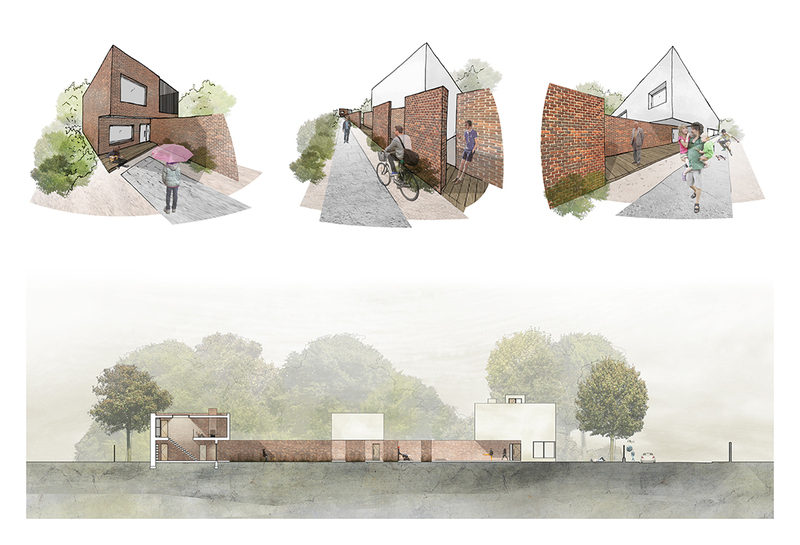 Today we see Georgian villas sat in amongst newly built housing with disused factories acting as topologically industrial contrast. 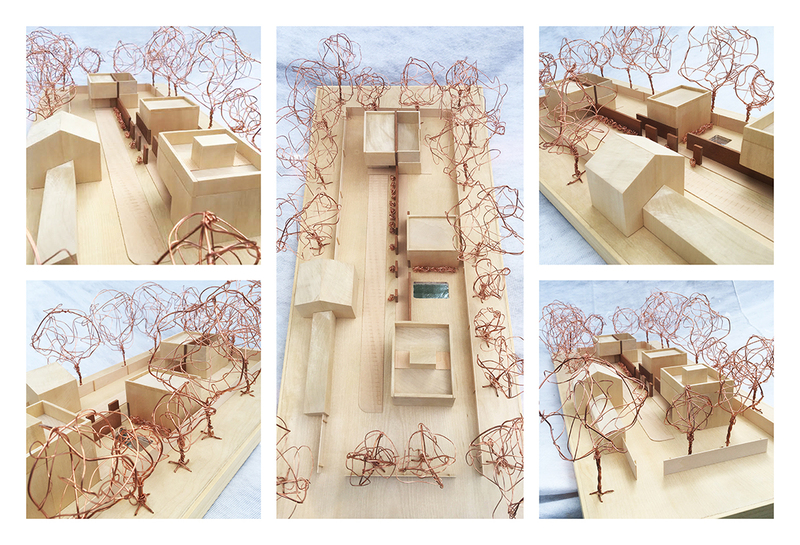 The project aimed to infill one of those disused sites in the Fairfield area of Liverpool. 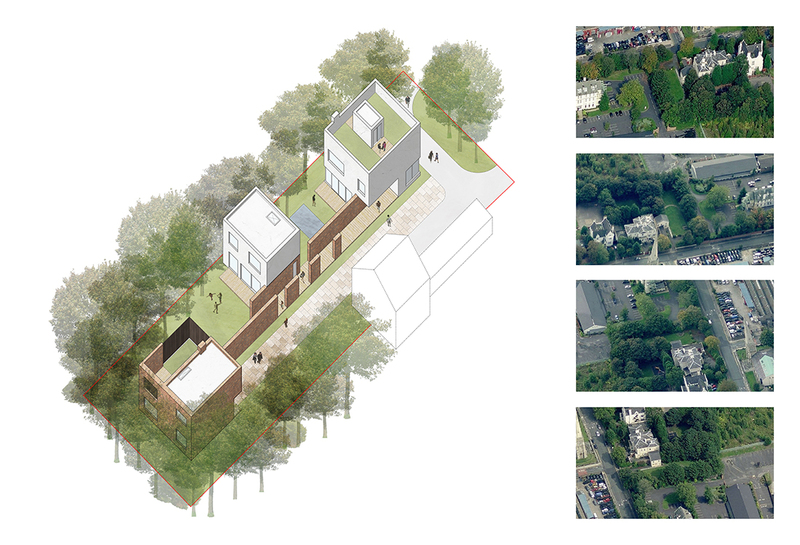 By offering several properties with shared green spaces and site entry the architecture defined the project as a series of homes for a community – perhaps an extended or large family. 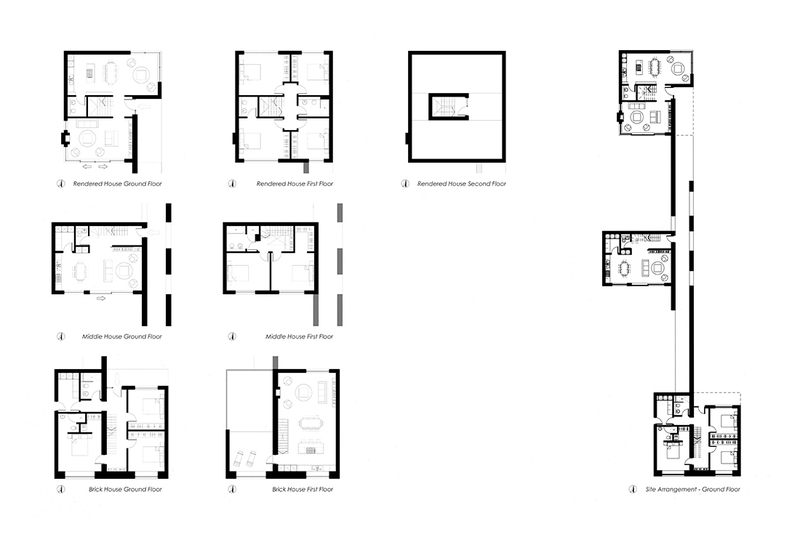 Architecturally the homes focused on producing materially conscious approaches to the urban context. 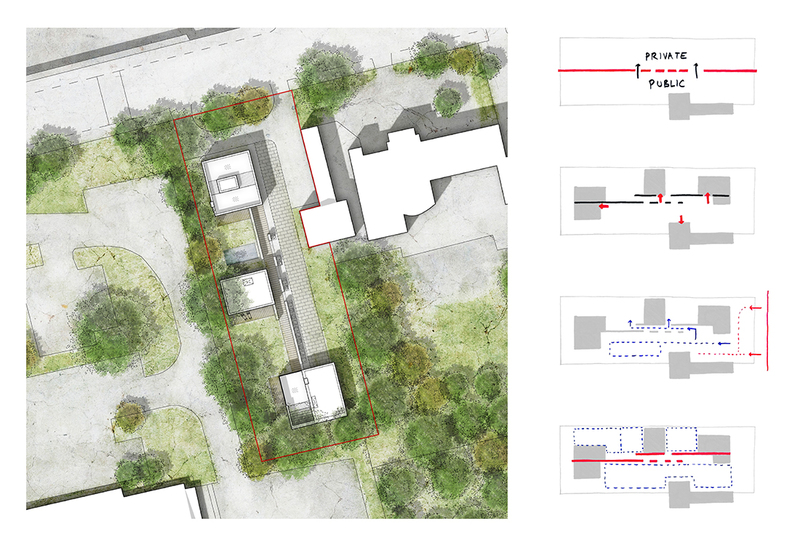 By utilising the surrounding materiality palette the project sat within the site before form could be considered. 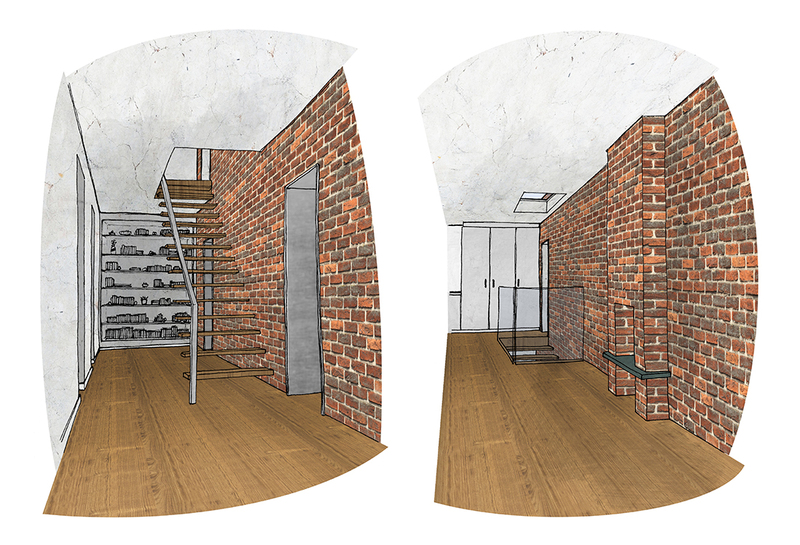 Brick and render were used to clad three separate buildings which had public and private space divided with the use of a linear brick wall.